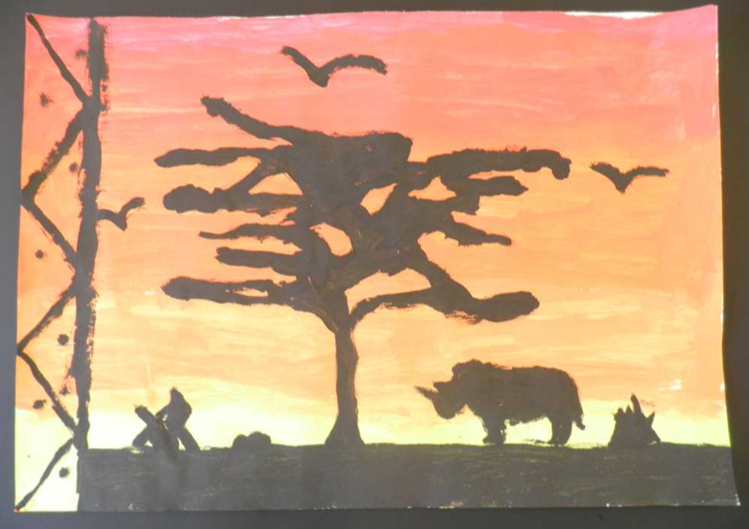 We've been working through a unit in our art lessons focusing on Africa over the past couple of weeks. We got the idea from seeing work at another school and I also used some ideas from these beautiful pictures. We looked at pictures on the pinterest first of all and did lots of thinking and planning for our own pictures. 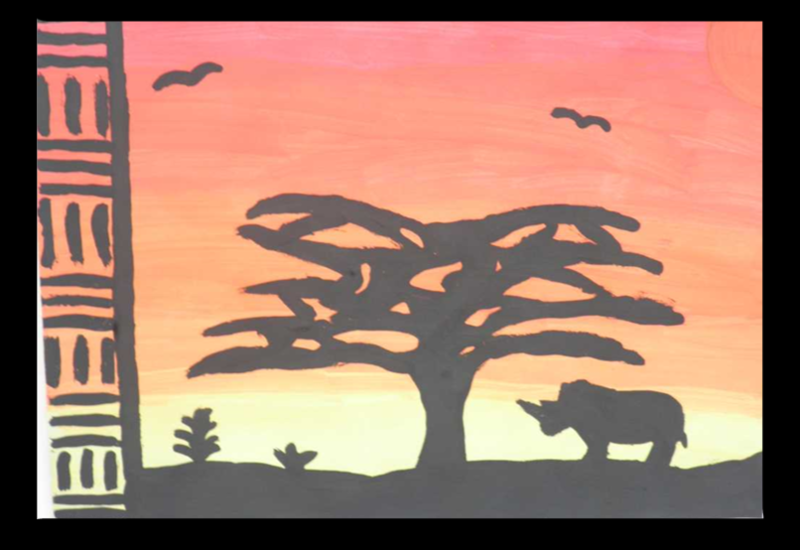 The class had the option whether they wanted to draw their own animal or use a stencil. 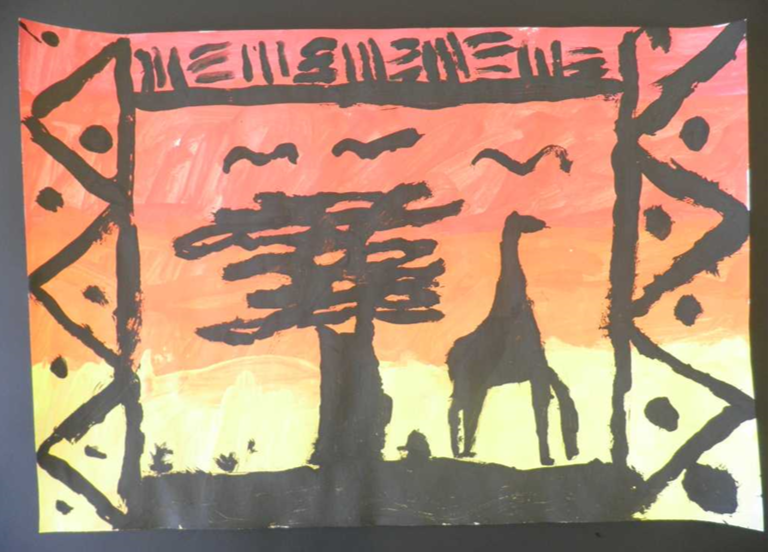 They were given the success criteria that they had to include at least one animal, one border with a pattern and one tree. 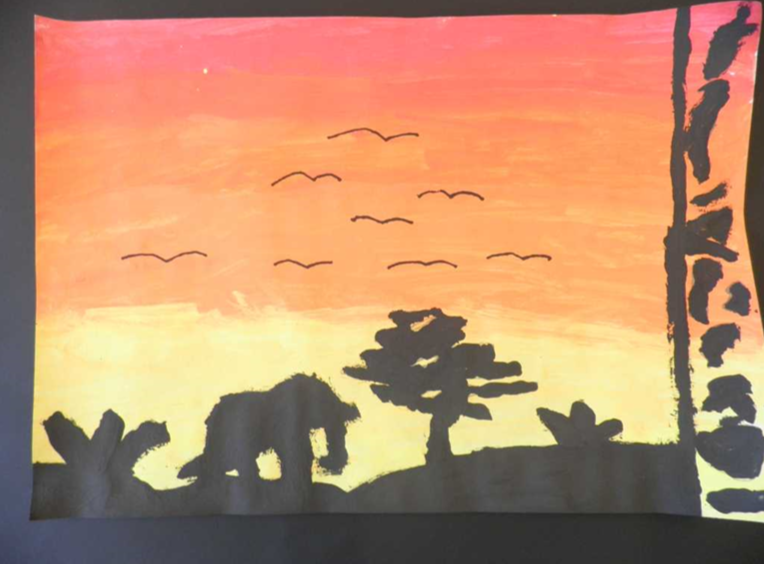 We spent the first lesson practising drawing different animal silhouettes and drawing a rough composition. We used some of our previous pattern work to think of border ideas and I modeled some of the easier options on the board. The following week we painted our background after lots of talk about blending. We went red, red-orange, orange, orange-yellow and finally yellow. 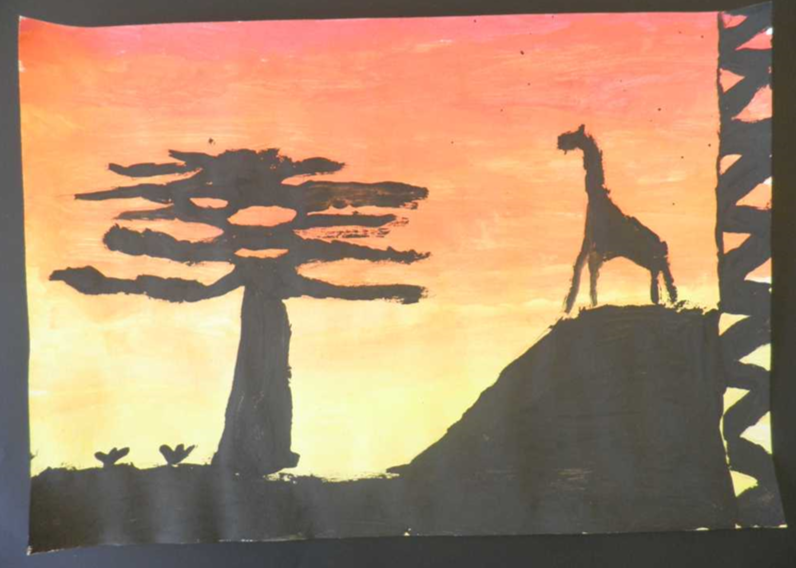 Once dry, we drew our border/animal/tree in pencil and painted over it in black tempera once happy. The pictures don't really do the work justice as they're amazing in real life.